The highly anticipated BABY COURSE! An introductory 1-day course for parents, teachers and professionals followed by a 2-day intensive workshop for therapists only. 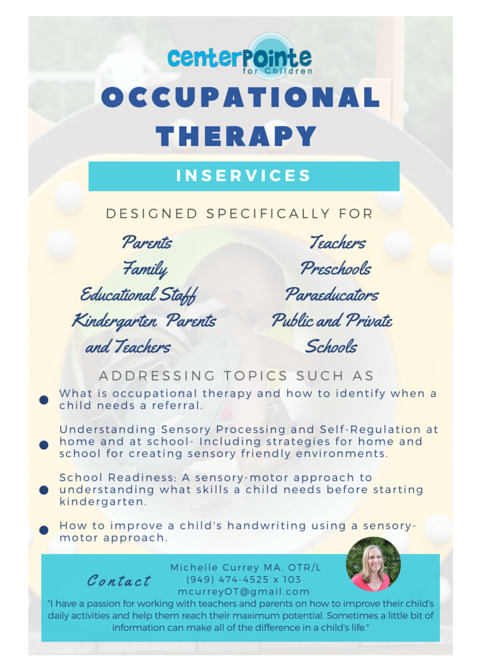 PROFESSIONALS: Interested in getting your certification in Ayres Sensory Integration? Be one of the first groups in the U.S. to participate in the new CLASI CASI training modules! PROFESSIONALS: Did you miss our workshop with our insurance angel, Kim Wangler? We have the video and .pdfs right here! Want an event or offering to come around again? Let us know!